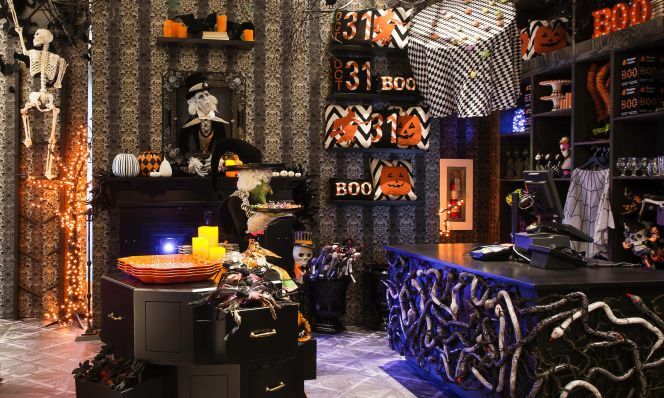 Feast your eyes on Halloween decor that's to die for! If you&apos;re looking for some last-minute Halloween inspo, we&apos;ve got you covered. 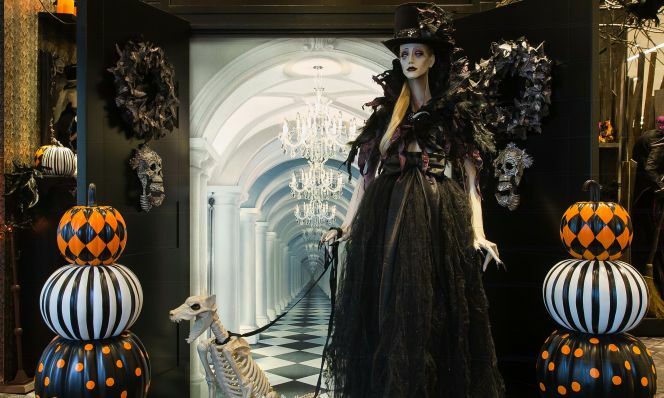 Last month, the masters of spook at Grandin Road took over a wing at the iconic Macy&apos;s store in Herald Square and created a pop-up decor shop. This is the first time their spooktacular haunts have been available in a brick-and-mortar store, and let me tell you, a visit to the space did not disappoint. We&apos;re talking witches, ghosts, skeletons and much more. What&apos;s great about Grandin Road is they&apos;ve got something festive for everyone. They understand that blood and guts isn&apos;t everybody&apos;s Halloween game, so they&apos;ve introduced a glam collection with metallic gold pumpkins and sleek black drinkware for the more faint of heart. 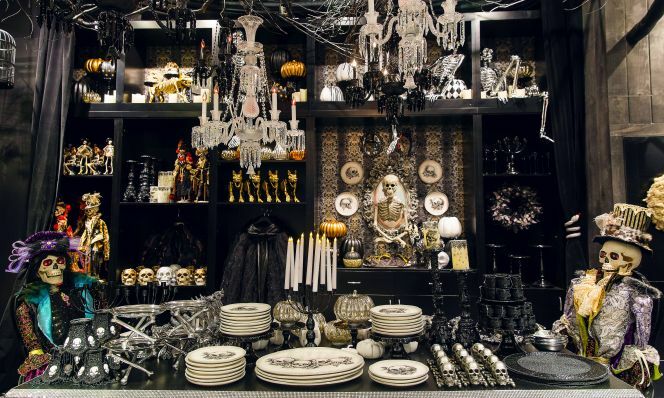 But if ghouls and gore are your jam, believe me, they've got decorations in spades to turn your home into a legit haunted house. We loved the apothecary-themed finds so much that we stocked up on a few items for our own prop closet for next year's Halloween decorating story. Point is, if you're in NYC over the next couple of days and want to be scared as you shop, head to Herald Square and check it out on the ground floor. And if you can't make the trip, take a virtual tour of the pop-up. Either way, you'll definitely get in the spirit.